DETROIT—Up to 100 cyclists are expected to bike up to the Michigan state capitol on Wednesday to meet with legislators on urgent transportation issues. They come in honor of the late Lucinda Means, the first executive director of the League of Michigan Bicyclists, who never owned an automobile and buttonholed everyone she encountered to tell them how they could make roads safer for two-wheelers. “Lucinda paved the path and we’ve made a lot of progress. Yet we have much to do in terms of non-motorized infrastructure,” said John Lindenmayer, advocacy and policy director for the League of Michigan Bicyclists who organized the event. 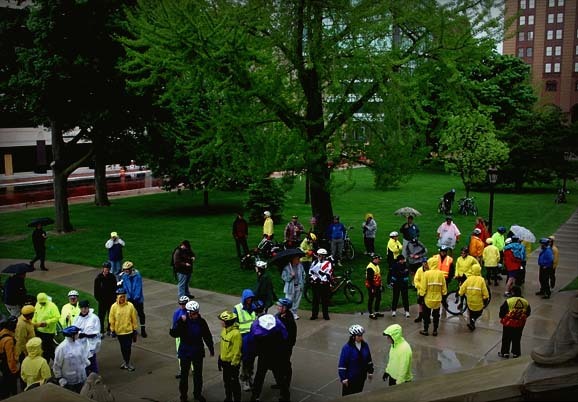 Every year since her sudden death in 2005, cyclists have gathered in May for Advocacy Day. They flock to the capitol in bright yellow jackets and helmets mingling with the blue suits and wing tips. Their attire alone begs the legislature to stand up and pay attention. “The best way to reverse the brain drain and retain talent coming out of universities is to make our cities walkable and bikeable,” said Lidenmayer in framing his remark for crucial committee leaders. He comes with a backup: Members of the League of Michigan Bicyclists, the Michigan Trails & Greenways Alliance, the Michigan Mountain Biking Association, and Programs to Educate All Cyclists. Riders hope to draw attention to complete streets, room for mass transit, cyclists, pedestrians and cars. They want and need bike racks at civic and retail destinations. The city of Ann Arbor, for example, has bike lockers and converted space in a parking garage for secure bike parking. 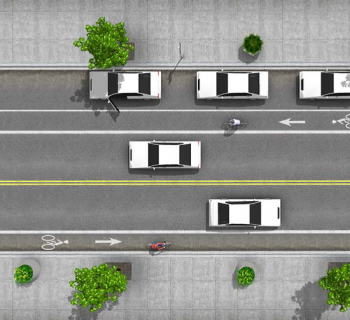 Midtown Detroit is putting north and south bike lanes on its major streets. Northwestern Highway has buffered bike lanes. But more needs to be done so people can commute to and from work on bicycles, enhancing their health, reducing fuel consumption and more. Weather willing, the cyclists will eat lunch on the Capitol lawn, button-holing everyone they meet with requests for more attention to cyclists – the core of the nonmotorized transportation movement that saves energy and encourages good health. 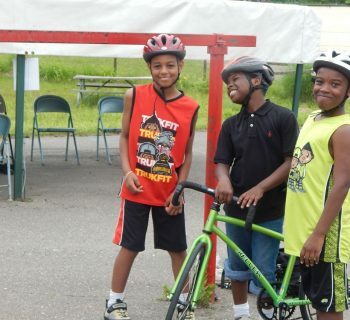 “Advocacy Daiy is our opportunity to speak with one voice to help advance Michigan bicycling and the interests of cyclists of all abilities across the state,” Lidenmayer cautions. Establish vulnerable roadway user’s protection. Currently drivers get a slap on the wrist for injuring a cyclist, according to Lidenmayer. Revive HB 4685 and HB 4686 from 2011 to stiffen penalties for drivers who injure or kill a vulnerable roadway user, such as a cyclist, pedestrian or wheelchair user. The law already protects a farm vehicle drivers, construction worker s and child in a school zone. Set a five-mile safety zone for passing bicyclists. Zooming cars that barely shave a cyclist and upset his or her balance could cost a life. 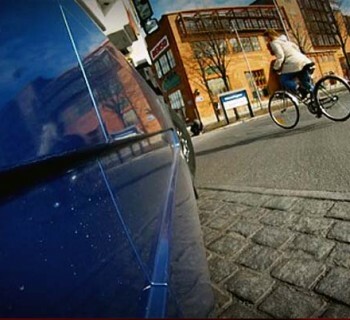 LMB found 1,895 cyclists were involved in motor vehicle crashes in 2011, of those 24 fatalities. Nearly all accidents happened in daylight hours. Why come? “You’ll be showered with gratitude from Michigan cycling organizations for playing an essential role in shaping bicycling policy in Michigan," says Lidenmayer. “Lucinda was way ahead of her time for Michigan. She came from California where the bicycle movement was already progressive,” recalls Nancy Krupiarz, executive director of the Michigan Trails & Greenways Alliance and close friend of the long-time executive director of the League of Michigan Bicyclists who passed in 2005. In the 1990s and early 2000s, friends and organizational partners said Means sought to make roads more accessible to non-motorized commuters and in return, make cyclists more visible to motorists. The bane of Means existence was public health events staged at highway interchanges. She grabbed the microphone during the first question and answer period of a conference coordinated by the Michigan Department of Community Health. Plenty of people are thinking about cycling today. Yet Means remains a legend among the advocates of mobility said John Lindenmayer, advocacy and policy director of the League of Michigan Bicyclists who worked with her six months before she died of a blood clot while recovering from knee surgery. Are we doing enough to accomodate the needs of cyclists in woutheast Michigan? Tell us your thoughts in the comments below.